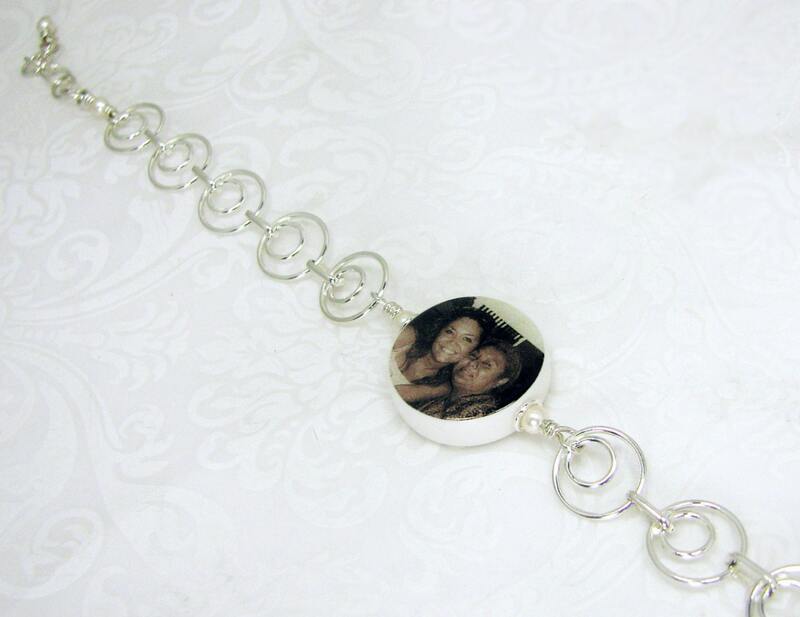 This 7.5" photo charm bracelet comes with links of sterling rings, a lobster claw clasp, and a 1" extender chain for your most comfortable fit. 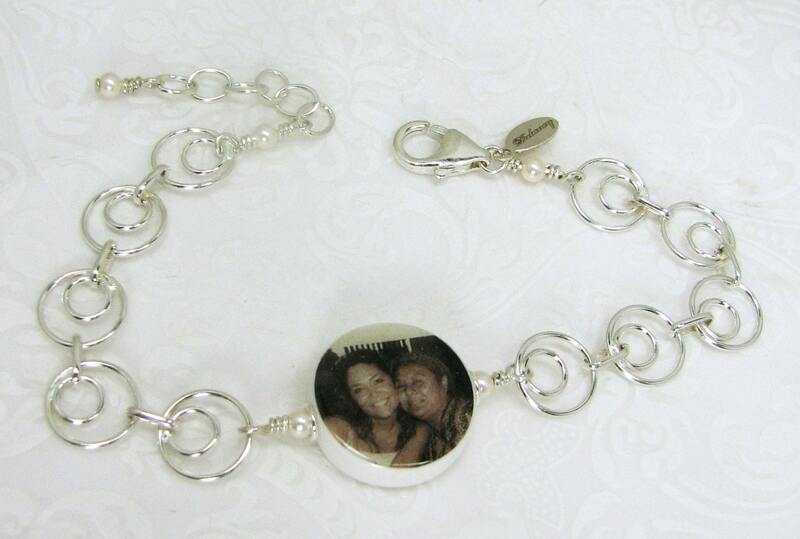 It holds a round, two-sided photo charm that displays your favorite images, or a short message, and measures .65" across. 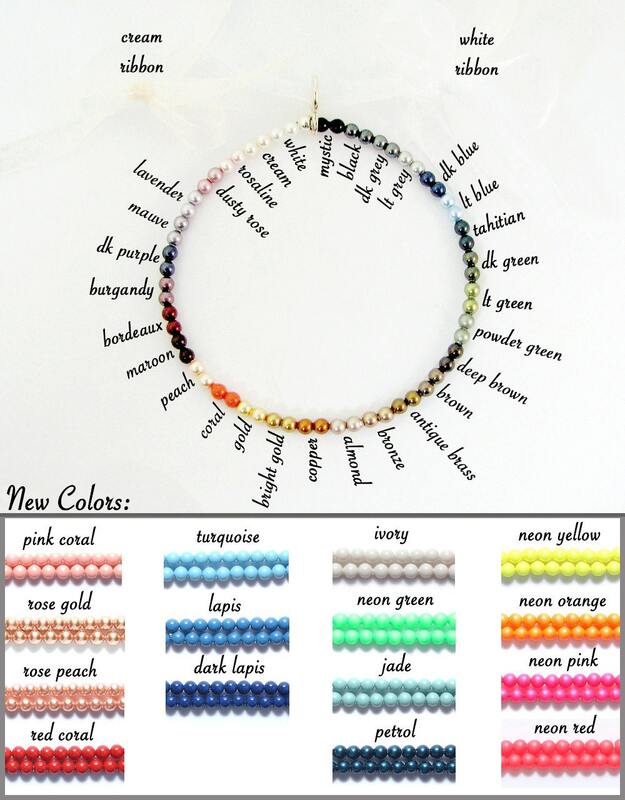 Choose from a variety of Swarovski crystal pearls to match your images in place of the ivory ones shown. * This listing is for one photo tile. Did you need two of them? 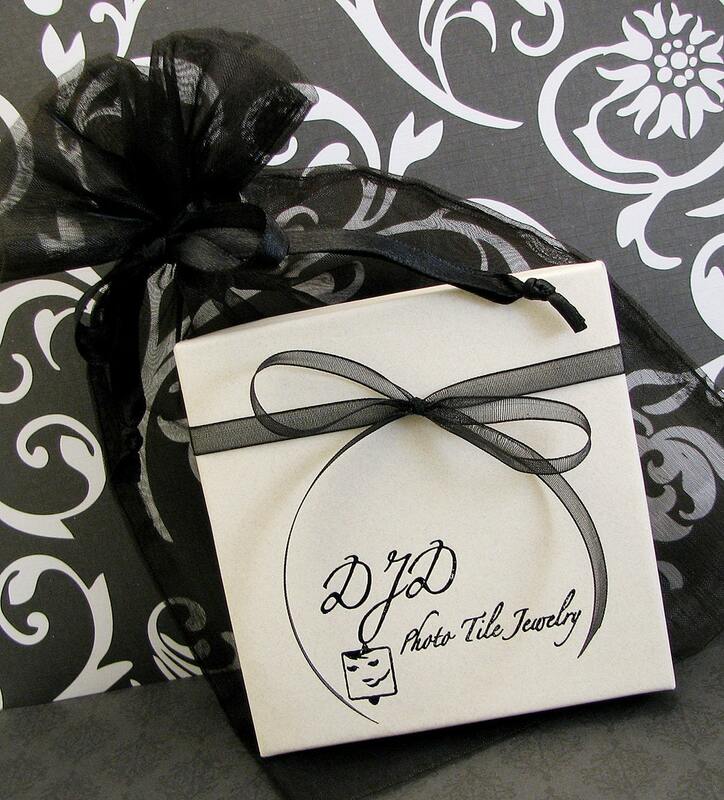 Email me at DJD [!at] Q.com for a quote with a quantity discount. No order is too large.